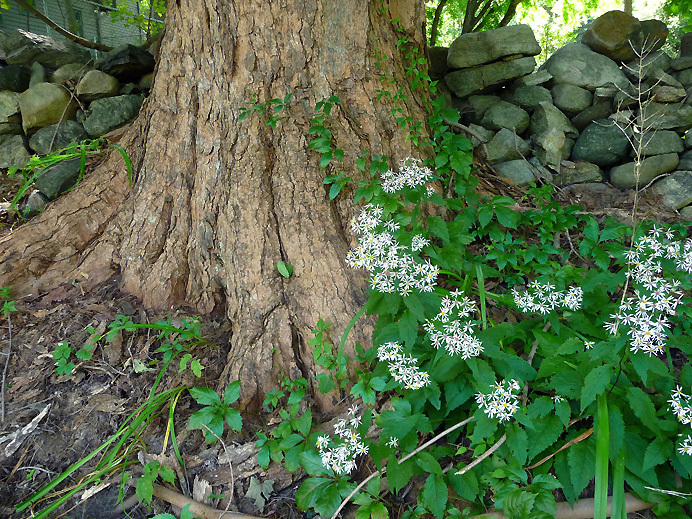 Beside a rock wall in front of the 300-year-old house (visible at extreme upper-left), white wood asters bloom at the base of an ancient sugar maple. The White Wood Aster is one of my favorite wildflowers—partly because its scientific name, Eurybia divaricata (yoo-RIB-ee-uh duh-vay-ruh-COT-tuh), is as much fun to say as the flower is to see. .